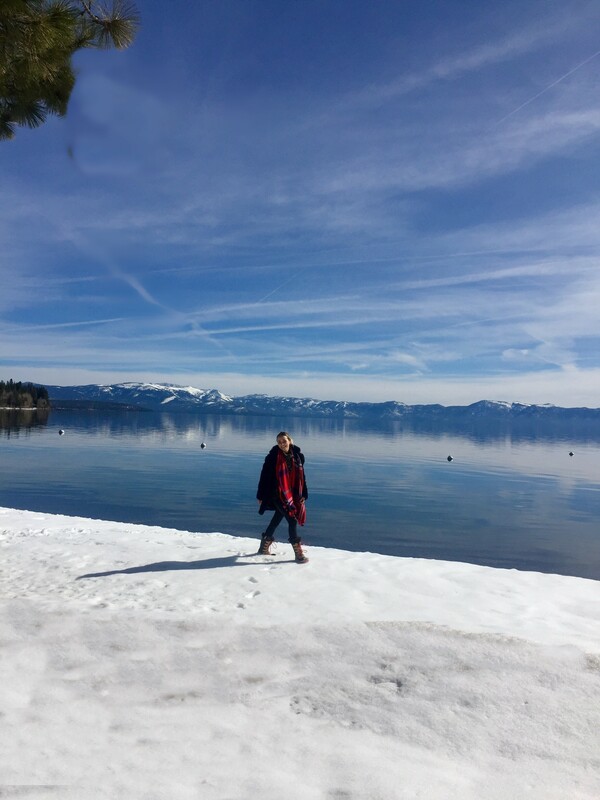 We hadn’t been to Tahoe since my youngest was five months old and I had forgotten how beautiful lake and surrounding mountains were. 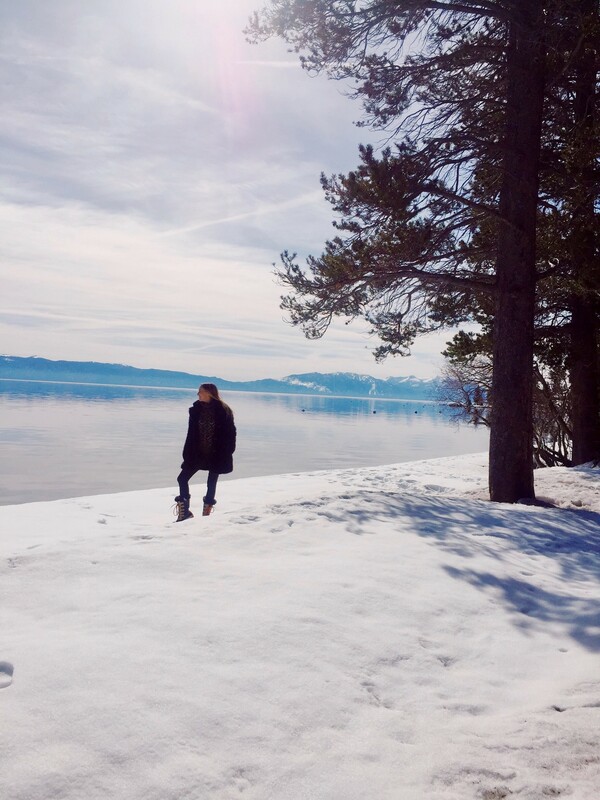 I love the clear mountain air and brilliant white snow and snowboarding but I do NOT like to be cold. For me the perfect temperature is 80 degrees which is why I prefer tropical destinations. 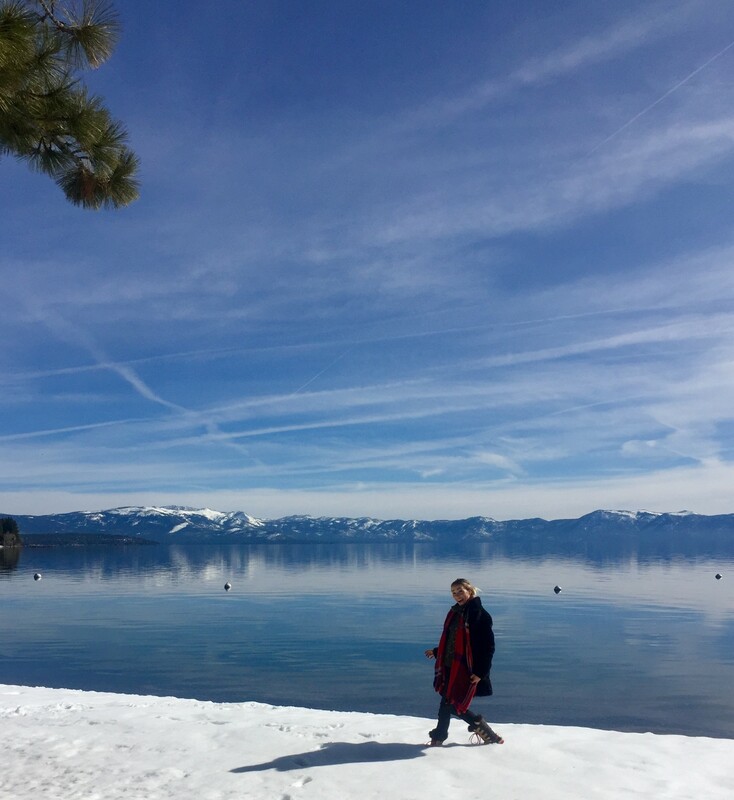 But with a week off school for spring break, we decided to head north to picturesque Lake Tahoe and teach our children how to ski. That meant I would be packing a separate bag for my coats and boots. Having the perfect coat is must for me when planning outfits for any cold weather retreat. Spending time outdoors means our coat is your outfit and must be both stylish and warm. This faux fur coat with lapels is one of my favorites. Perfect for cold winter days and great over dresses in spring.